Hank – APS Dreamworks, Inc. I was not disappointed. While at first the lack of the traditional home button took a little getting used to (less than a second), I will have to say that this phone may very well indeed redeem Samsung. From the beautifully designed handset (I got the S8+), which fits perfectly in your hand, to the large Infinity display, which has a rich and vibrant look to it, right down to the actual speed and battery time (mine lasts a day and a half on normal usage). The phone is an absolute joy to use, the camera is fantastic, there isn’t much more to say. The new personal assistant called Bixby, is pre-installed on the Galaxy S8 and S8+, however at the time of the phone’s release to the public, Bixby Voice has not yet been completed. All other functions of Bixby are included, but the voice portion of the assistant has not yet been implemented. From what sources at Samsung are saying, it looks as if the latter part of Spring will bring voice to Bixby. Until then, plenty to enjoy with this great new device. 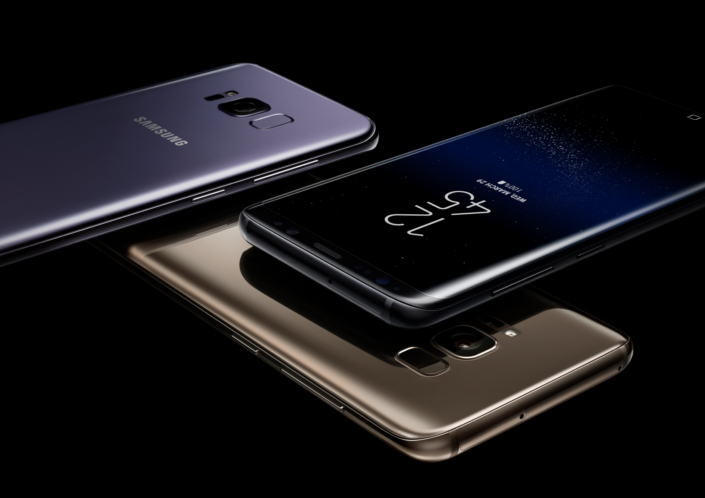 Samsung announced on March 29th, at a New York Conference, the newest addition to their smartphone lineup. From the information given of this device, Samsung will definitely redeem their name after last year’s Note 7 fiasco. 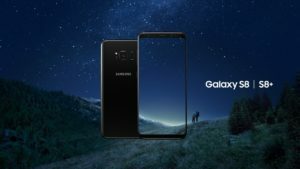 With a regular and Plus version, the Galaxy S8 has an infinity display, curved edges, and the home button of old has been replaced with touch sensitive keys on the display. Not only does this device look beautiful, it is the only device on the market to sport what Samsung has dubbed as DEX, which is short for Desktop eXperience. This little feature will allow you to dock your phone into a cradle, which can connect to a full sized keyboard, mouse and monitor, turning your phone into a PC. I currently have the S7 Edge, and can’t wait to upgrade. For those of you wanting to know when this device will be available, Samsung has stated that April 21st will be the release date to the public, but you can pre-order yours now through your cellphone carrier. If that wasn’t enough, rumor has it in latter part of the 2nd Quarter of this year, Samsung will be releasing the Note 8. If it includes all these features, and batteries now provided from LG Batt (LG’s Battery division) then I would have to say that Samsung will definitely redeem themselves this year. 2017 is now upon us and it’s almost mid January. That being said, a lot is changing for us both on our site, and in our business. This year seems to be the year of change, as we will be moving beyond our regular services and posting more frequently in the Blog section. While we have kept a pretty standardized look to our site, we have decided to make things a little more simple in our layout, and with the system we use. This year we have dropped Subrion as we have found it to be a bit cumbersome to manage, and instead decided to work with WordPress. will match up with how we feel the website should look and with how well it will offer our customers ease of use. More to follow within the month so stay tuned!